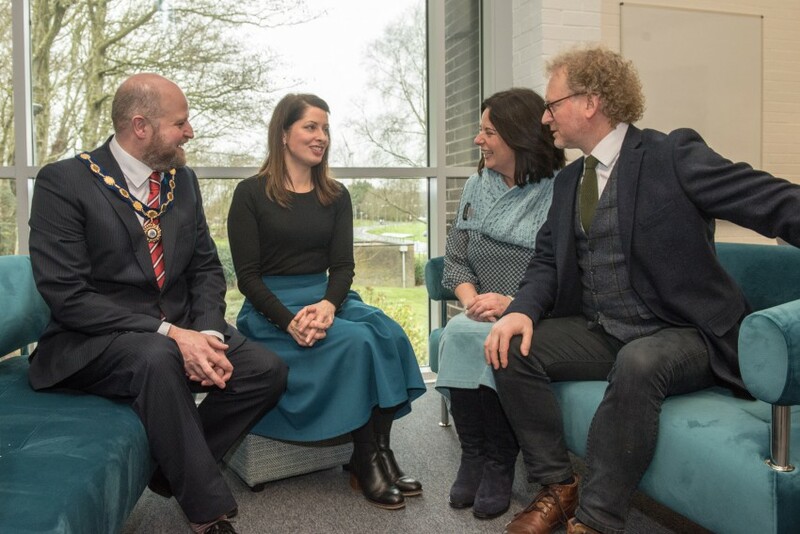 Ulster University has launched the 'Collab Lab', a new flexible and shared learning space on the Coleraine campus for staff, students and the wider community. 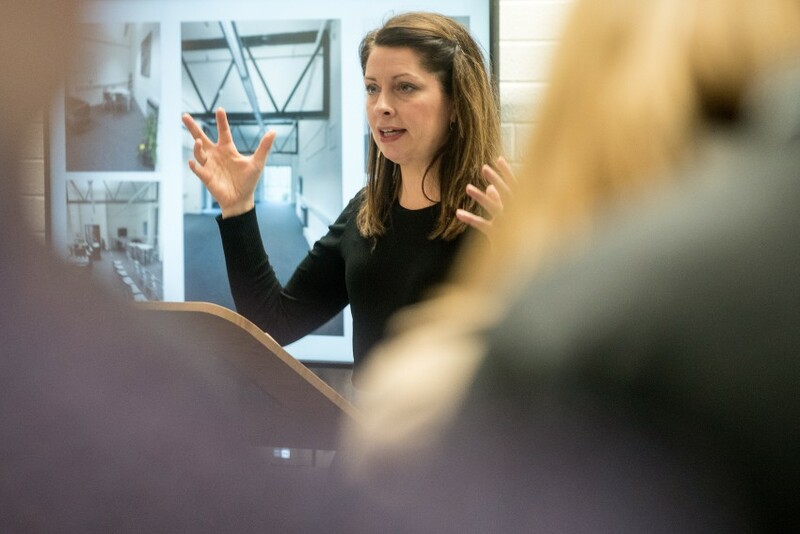 Previously a traditional lecture theatre, the space has undergone a complete transformation with students, staff, and stakeholders all playing a key role in the renaming and design process. The 'Collab Lab' features flexible equipment and décor as well as emerging technology to ensure that the environment can be utilised by a wide range of users including staff and students as well as local businesses, charities and professional organisations. 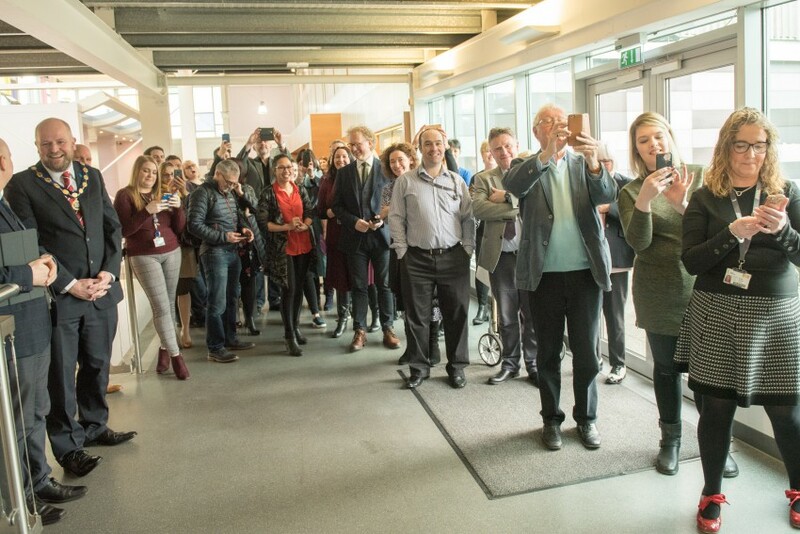 This space will act as an innovative platform for the local community that will encourage the free flow of ideas in an inspiring and welcoming environment. This is key to the Provost’s role in delivering on the civic contribution priority of the University’s strategic plan. As an open space, the set-up will facilitate both collaborative learning and creative thinking. 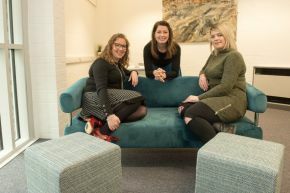 The facilities were also co-designed by our students through focus groups, with the aim is to encourage creativity and provide a collaborative environment that will bring out the best in our students, staff and local community. Enjoying the new facilities from left to right: Deputy Mayor Councillor Trevor Clarke, Causeway Coast and Glens Borough Council; Professor Karise Hutchinson, Provost of the Coleraine campus; Jayne Taggart, Chief Executive of the Causeway Enterprise Agency; Murray Bell, President of Coleraine Chamber of Commerce. 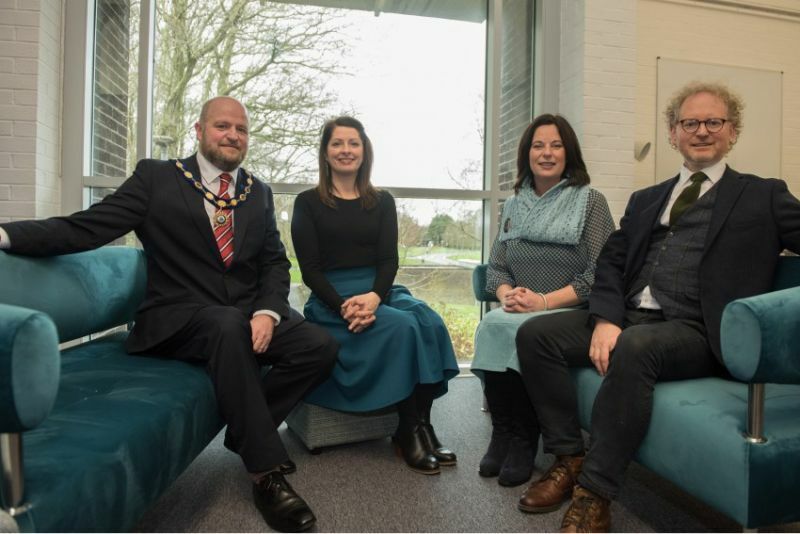 Provost of the Coleraine campus, Professor Karise Hutchinson established the project with the ambition to create a space that promotes university-community collaboration. 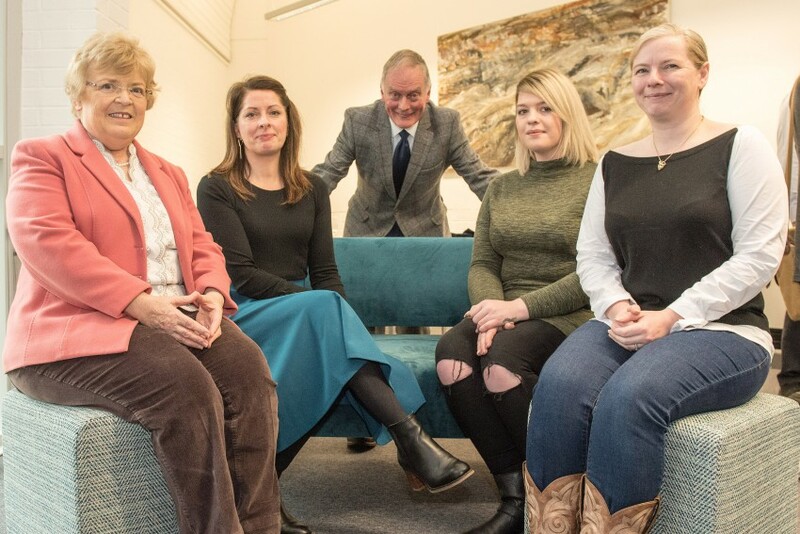 Pictured from left to right: Dr. Venie Martin, Chairperson Causeway U3A, Professor Karise Hutchinson, Provost of the Coleraine campus, Emer Smith and Chris Shannon, Students Union. 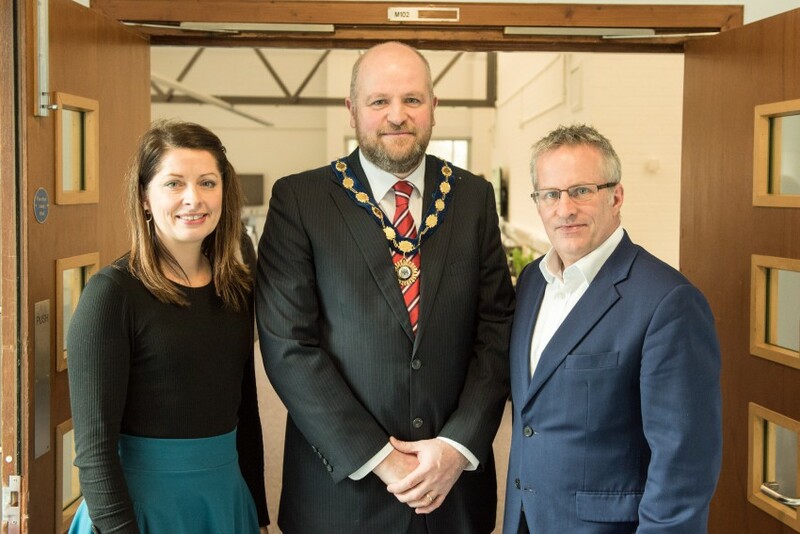 "U3A is already working in partnership with the UU at Coleraine in a range of ways, from sport, to the theatre and several aspects of academic engagement. 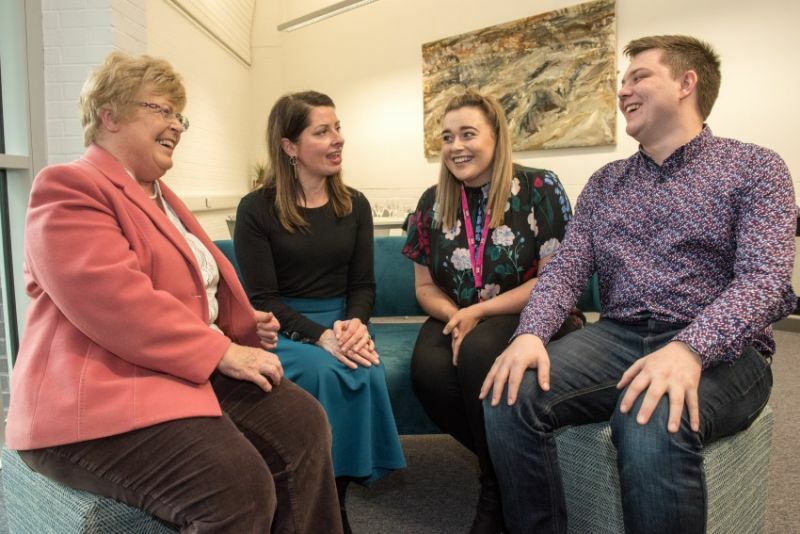 "This space will offer even more opportunities for the local U3A group to come on to the campus and use the exceptional facilities provided by the University." This project is committed to supporting Coleraine's community and local organisations. And as a result of this, we are extremely excited at the potential this new space can offer, in terms of future ventures, ideas, and events that can all be grown from these new facilities.